Last covered here at the end of 2017, Unigram UWP has acquired an 'X' (i.e. 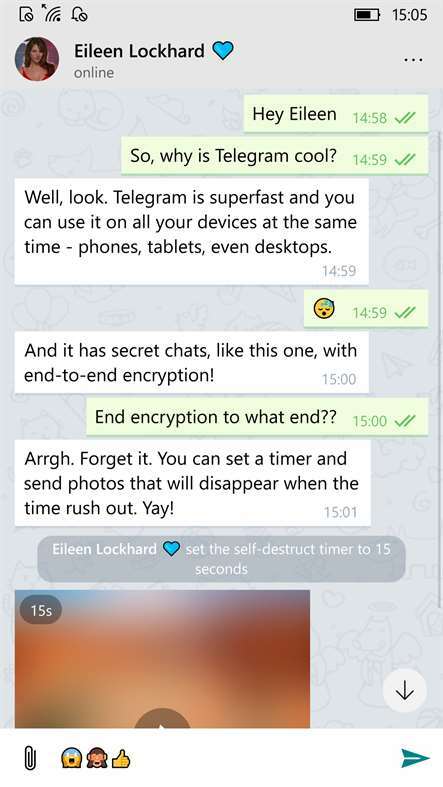 'Unigram X') and now fully supports the latest secure Telegram functionality. Plus the first party 8.1 client has seen updates too, leading me to err... recommend both. If you feel the need for yet another Internet-borne messaging app, at least. This is cross platform in the same way as Whatsapp. And Skype. And Facebook Messenger. And a dozen others. 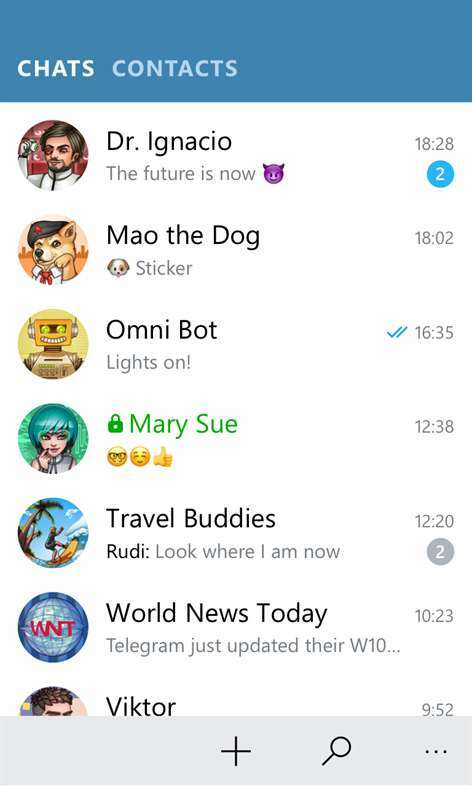 Still, I'm sure Telegram has its fans, and I wanted to give a shout out to the two main application options. Ladies and gentlemen, please welcome Unigram X. Since the beginning of the year we're working closely with TDLib creators to deliver you the best Telegram experience on Windows 10. We're proud to announce that the wait is over, and the app has been rewritten from scratch to guarantee you performance, stability and security. Every chat you open is now securely cached on your device, so you can browse them even when internet connection isn't available. Secret chats are now fully supported: this allows you to communicate with your friends using end-to-end encryption, even on desktop. My People integration: you can now pin your contacts to the Windows taskbar and use Unigram to chat with them without opening the full app. The app is now faster, stronger, better. Search for Stickers: start typing in the new search field to quickly access your sticker sets or find new trending stickers. If you used Telegram to log in on other websites, you will see a Logged in with Telegram section in Privacy and Security Settings. View formatted text on caption. @ mention suggestion in caption. 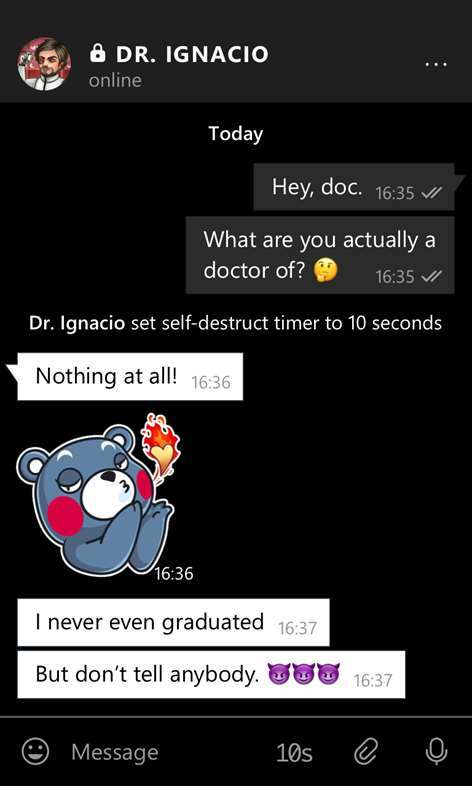 Do you use Telegram? Do you rail against people dismissing it as 'just one more messenger'? It does look immensely capable, but the real question is how many of your friends and family you can convince to use it, surely? Still, great to see activity in both the Windows Phone 8.1 and Windows 10 UWP spheres in keeping these service clients active and current.